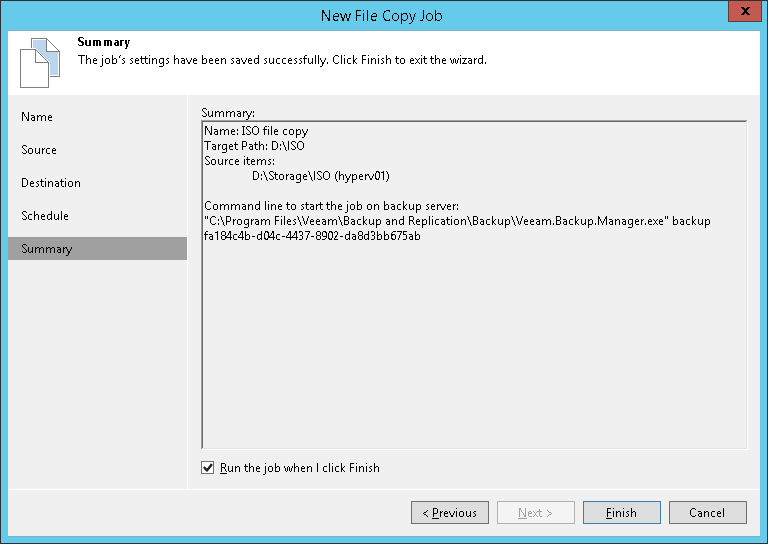 At the Summary step of the wizard, complete the procedure of file copy job configuration. Review details for the created file copy job. Select the Run the job when I click Finish check box if you want to start the job right after you finish working with the wizard.